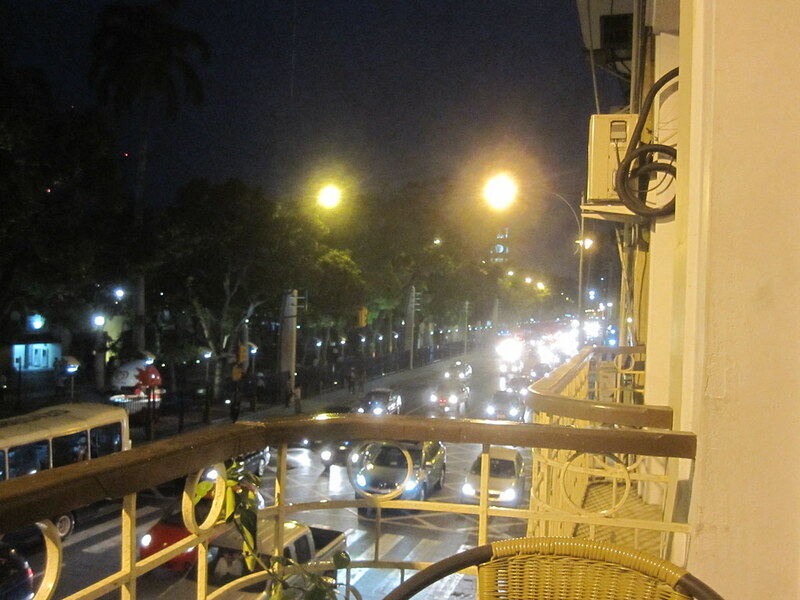 This is the night view from the patio that overlooked the street that was adjacent to Malecon 2000, the Guayaquil River Walk Guayaquil is a city of over 4 million people. Interestingly, I had never heard of the city prior to considering visiting Ecuador. It’s funny how we think that we would have heard of cities of several million people in size, but the odd thing is that there are dozens of them we’ve never heard of. At least I’m aware there are dozens I’ve never heard of. I’m not say I think I should know the major cities if the earth. I probably should , but there is so much more information that tends to be relevant in my life. But when I’m on the road I become a geographer. You have to. At that point you need to know what’s going on. This entry was posted in Travel and tagged Ecuador, Guayaquil, Hostel on September 21, 2011 by Steve.